Among metropolitan areas in the tri-state region, Chattanooga has one of the lowest share of workers belonging to labor unions. Nationwide, 11.2 percent of all workers belonged to labor unions in 2013. Source: U.S. Bureau of Labor Statistics. Jobless rates for July, 2014. Union membership for 2013. In Tennessee, 6.1 percent of workers belong to unions and unemployment in July was 7.1 percent. In Georgia, 5.3 percent of workers belong to unions and unemployment in July was the second highest among all states at 7.8 percent. Eric DeLacy takes pride in his job in the paint shop at Volkswagen's Chattanooga plant. But after nearly four years on the job, DeLacy says he also wants to have a bigger say in how the plant runs, and thinks a labor union could provide that voice. He is among more than 700 workers who have joined a new local union started in March by the United Auto Workers. "I want to work with management in the plant to be a force to improve the life of the workers in the plant and the UAW is the best way to achieve that," he said. DeLacy is among a growing, but still relatively small, share of Tennesseans belonging to labor unions. Last year, Tennessee recorded the fastest rate of growth in union membership of any state, according to the U.S. Bureau of Labor Statistics. But with only 6.1 percent of all workers in the Volunteer State belonging to a labor union, membership in unions last year in Tennessee was still only about half the national rate of 11.2 percent. 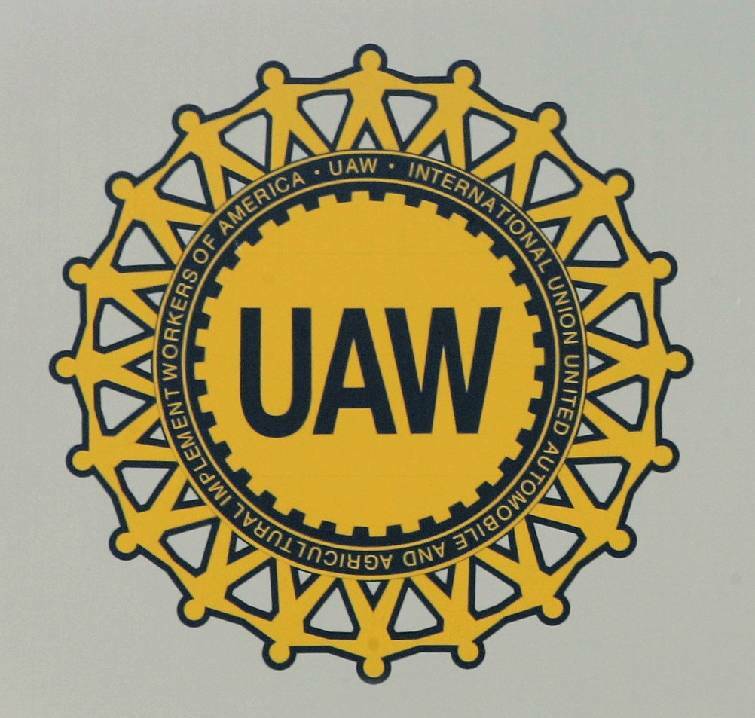 Labor unions like the UAW are trying to flex their muscle in the traditionally nonunion South. But organized labor continues to face problems convincing many Southern workers of its value and overcoming concerns from some politicians and business groups who claim unions scare away business. Last year, the BLS estimates 31,000 more Tennesseans were members of labor unions than in the previous year, boosting the ranks of organized labor in the state by 25 percent to the highest level in a decade. But in Chattanooga -- once a union stronghold in the traditionally nonunion South -- the share of workers belonging to unions was still only 3.4 percent in 2013, according to a study by Georgia State University's unionfacts.com. That was the lowest share of any of the biggest metro areas in Tennessee, Georgia or Alabama. As Americans celebrate Labor Day today, unions across the country are holding rallies and marches. But none are planned today by organized labor in Chattanooga. DeLacy and the other VW workers who have joined UAW Local 42 won't have any collective bargaining power with Volkswagen, at least for now. But DeLacy and other UAW backers hope that will change once a members-only union takes hold and VW recognizes the labor organization for more than just representing its own members over issues not related to wages and benefits. The UAW agreed to establish a local union even before it is recognized for collective bargaining after the UAW lost its unionization bid in a 712-626 election in February. "We continue to work on the consensus that we have with Volkswagen on how we're going to proceed and it seems like everything is coming together real well," said UAW Secretary-Treasurer Gary Casteel, who remains convinced that ultimately, the VW plant in Chattanooga will be unionized and the UAW will get a collective bargaining agreement. Daniel B. Cornfield, a Vanderbilt University professor who studies labor unions and is editor of the publication "Work and Occupations," said the UAW organizing effort in Chattanooga could help reshape unions in the South. "If the UAW is successful at Volkswagen, it could have tremendous implications for both economic growth and unionization," he said. "It certainly would encourage unionization efforts at other automotive plants in the South." The UAW's approach to establishing a local union to help build worker support before it is recognized by the employer or a certification election is won "could reverberate as a new way to do unions in this country," Cornfield said. Casteel downplays such a "domino effect." "Each plant and community is different," he said. But Tennessee Gov. Bill Haslam and U.S. Sen. Bob Corker, both Republicans who have been critical of the UAW, worry that a UAW win at Volkswagen could discourage other businesses worried about UAW representation at their companies from locating in Tennessee. Corker said other automotive companies told him privately they were glad VW workers rejected the UAW in February. "Even other companies in Europe told me, 'Thank God the UAW lost,'" Corker said recently. Todd Womack, Corker's chief of staff who worked on convincing VW to expand its production in Chattanooga, said other automotive companies told him they would look less favorably at Tennessee if the UAW gained a bigger presence in the state by representing the 2,700-employee Chattanooga VW plant. Corker, who said the defeat of the UAW in February helped convince Volkswagen to expand its Chattanooga plant, said he fears the UAW would create a more confrontational working environment and hurt plant operations. Volkswagen wages are comparable with UAW-represented workers at other auto plants, Corker said. "There's no question, it would be a negative for our state," he said. UAW critics point to the decline in population and jobs over the past four decades in Detroit, where the UAW is based. But UAW backers cite the growth in and around Spring Hill, Tenn., where General Motors announced last week that it will spend $350 million and retain at least 1,800 jobs to support production of the Cadillac SRX. The UAW negotiated a contract with GM to help bring back production of the vehicle to the U.S. from Mexico after the Spring Hill plant was largely idled during the Great Recession. Already, the expansion of the GM plant has brought nearly $50 million of investments and more than 400 automotive supply-related jobs to the region. Casteel said expansions of UAW-represented Ford plants in Louisville are bringing hundreds of new jobs to Kentucky. "I've been in this business for 25 years and I've never heard of a supplier not locating in an area because the plant they were supplying was represented by the UAW," Casteel said. "That's simply not true." According to the U.S. Bureau of Labor Statistics, the average unemployment rate isn't much different in states with the highest union membership compared with states where organized labor has the fewest members. In July, unemployment averaged less than two-tenths of a percent higher in the five states with the highest share of union members compared with the five states that have the lowest share of union members. The jobless rate in July was above the U.S. average in both Tennessee and Georgia, both states where union representation averages only about half the national rate. Nonetheless, Gary Moore, the Tennessee president of the AFL-CIO coalition of labor unions, said unions face more political and business opposition in the Volunteer State than they do in many other parts of the country and many workers have no experience or familiarity with labor unions. "It's a constant battle for worker rights," he said. "But I think we should see a steady but slow increase in our membership in Tennessee as the economy improves and more workers recognize the value of having an organized voice to speak for them."